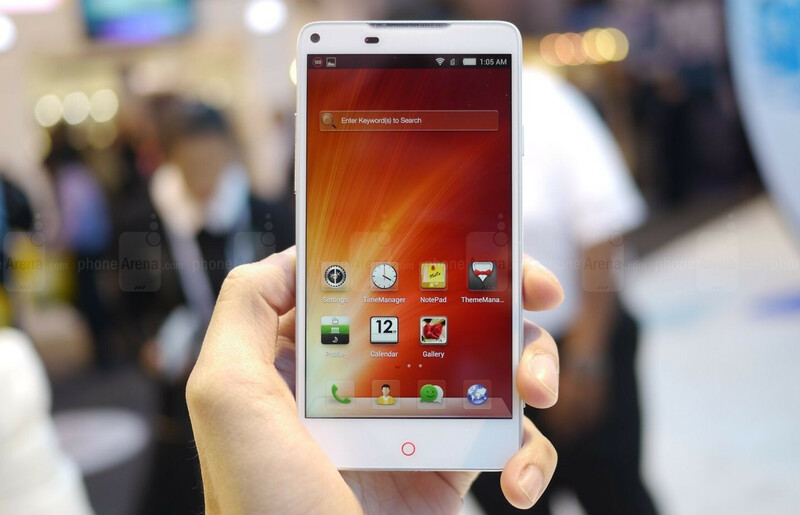 In a move to boost its global smartphone sales, China’s ZTE will be betting on releasing “more and more” high-end devices - like the upcoming Nubia Z7. According to Reuters, the company expects shipments of its premium Nubia handsets to grow at least 300% this year. Overall, ZTE aims to sell over 60 million smartphones throughout 2014, and 80 million in 2015 (up from 40 million in 2013). ZTE's executive vice-president Zeng Xuezong told Reuters that he admits there is “a gap between the brand awareness of Chinese companies and those top global brands.” Launching a higher number of premium handsets should help bridging that gap. "After our efforts in the past two years, I believe our brand awareness and approval rating from customers could rival those of Apple and Samsung in China," said the ZTE exec. While that may work in China, it will be harder for ZTE to do the same in the US - not just because Apple and Samsung are well-established brands, but also because of numerous security concerns raised by government officials when it comes to all Chinese telecoms equipment. Still, ZTE hopes to raise its US smartphone market share from 6% to 10% by 2017, and, for that to happen, it intends to spend more on marketing. The company is already selling its Nubia Z5S (pictured above) and Nubia Z5S mini in the US, but only unlocked, via Amazon - thus not reaching customers who usually buy handsets subsidized by carriers. It's not only Samsung and apple that they should deal with. Sony htc lg are well established phone maker. After sales is one of the key. Price is nothing if there's no after sales service just like one plus. Them are high hopes. Good luck. Good luck, first you have to achieve Huawei, LG, HTC, Sony, Nokia and even Oppo, then we can talk. Too bad for you ZTE. Nobody in my country knows that ZTE still sells phones. Looks like a White Droid RAZR HD and a Nexus 7 2013 had BAAAABIEESS!!!!! !